An herb is a plant that is used for flavoring food, medicine, or perfume. Essentially, herbs are plants. They are mainly used to provide flavor to food, rather than any actual sustenance. 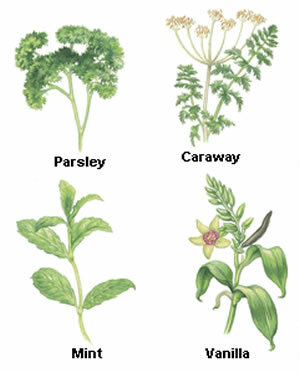 In addition to flavoring food, certain types of herbs are also used for medicine and or rituals. An herb is different from a spice, as the herb is the leafy green part of the plant, which can be used either fresh or dried. A spice, on the other hand, is a product from another part of the plant, such as seeds, berries, bark, roots and fruits. It is also usually used dried and often powdered.